A group, Advocacy for Societal Rights Advancement and Development Initiative, has instituted a fresh suit before the Federal High Court in Abuja seeking to stop the Chief Justice of Nigeria (NJC), Justice Mahmud Mohammed, from swearing the president-elect, Muhammadu Buhari, on Friday. 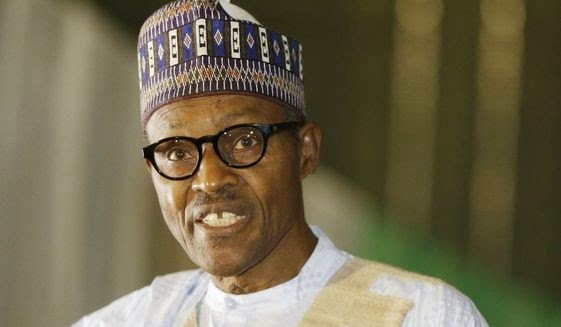 The suit filed on Tuesday is also seeking an order nullifying the certificate of return issued to Buhari by the Independent National Electoral Commission (INEC). The plaintiff hinged the suit on the allegation that Buhari did not qualify to contest the presidential election on the grounds that he gave false information about his academic qualification to INEC. Between January and February 2015 there were about 10 cases instituted by various plaintiffs challenging Buhari’s eligibility to stand for the poll on the grounds of his academic qualification controversy. But after he won, the cases were withdrawn. 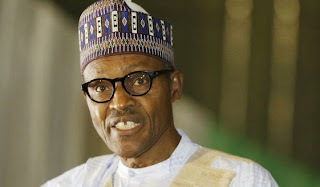 In the fresh suit filed by its lawyer, Mr. Philip Ekpo, the group alleged that Buhari did not meet the qualification enshrined in the 1999 Constitution and the Electoral Act to stand for the March 28, presidential election. Buhari, INEC, the CJN are the 1st to the 3rd respondents in the suit respectively. The plaintiff is seeking an order of interim injunction restraining the CJN “or any person acting in his capacity” from swearing in Buhari as President of the Federal Republic of Nigeria on May 29, or any other date thereof pending the determination of the motion on notice. The plaintiff seeks among other orders, “A declaration that the 3rd defendant is stopped from swearing in the 1st defendant as President of the Federal Republic of Nigeria, as the issue of perjury involving the 1st defendant has not been resolved. “An order restraining the 3rd defendant or any person appointed for such purpose from swearing in the 1st defendant as President of the Federal Republic of Nigeria on May 29 or any future dates whatsoever for giving false information to the 2nd respondent on oath. The grounds canvassed by the plaintiff read: “The 1st respondent (Buhari) gave false information in the affidavit he presented to the 2nd respondent (INEC) and on the strength of which he contested and purportedly won the presidential election which was conducted by the 2nd respondent on March 28. “The Nigerian Army on January 20, 2015, said in the personal file of the 1st respondent with the Nigerian Army, it does not have the original copy of his West African School Leaving Certificate nor does the Nigerian Army have the Certified True Copy of his WASC results neither does it have a photocopy of the said result. “The 1st respondent has not met the qualifications enshrined in the 1999 Constitution of the Federal Republic of Nigeria and the Electoral Act, Cap E6, Laws of the Federation of Nigeria, 2010 (as amended) to have contested the position of President of Nigeria at the 2015 general election.